Mike died at Arbor Hospice, a year and one day after his diagnosis with a Glioblastoma. Mike was born on April 30, 1938, in Berkhamsted, Hertfordshire, England, to Mary Louise (Ryan) and Wilfred Malley. His father, a lawyer, became an officer in the British Army stationed in Egypt. Wilfred left for service when Mike was 2; he died in 1942 in the Battle of El Alamein. Mike and his mother survived the London Blitz, moving to the United States in the 1950s when she married William Hauck, an American Air Force pilot. England’s wartime food rationing resulted in Mike’s lifelong obsession with fresh oranges and marmalade. A high school merit scholar, Mike graduated from Yale University with a dual degree in philosophy and physics. Afterward he spent two years in the U.S. Army, working in intelligence. During that time he met Adrienne, his wife of 54 years. In 1964 they moved to Ann Arbor, where Mike attended Michigan Law, graduating near the top of his class. He started a private law practice in Ann Arbor, specializing in small business and franchise law. His early clients remained with him for 40 years, becoming friends for life. In 1990, he received the Pro Bono Award from the Washtenaw Trial Lawyers Association. His commitment to pro bono legal work lasted until his death. Mike and Adrienne raised three children, Christopher, Jennifer, and Peter. Mike’s avocations were soccer, the Michigan Churchill Society, and military veterans. His soccer interest began as a young child with his passion for the British club Arsenal. He played at Yale and later, as his children grew, began coaching youth soccer, eventually founding the Ann Arbor Arsenal Soccer Association. When his children left home, he began coaching the University of Michigan Men’s Club team. 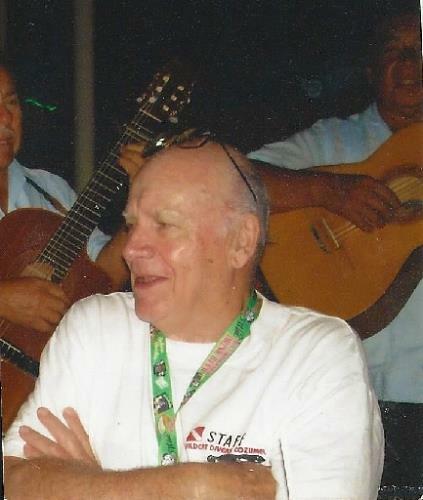 In 1990, Mike became co-chair of the Michigan World Cup Committee and was key in obtaining the three World Cup games played in 1994 at the Pontiac Silverdome. After that he and Adrienne traveled the world to attend World Cup Soccer games. In 2015, he was inducted into the Michigan Soccer Hall of Fame. Mike’s interest in all things Churchillian was connected to his British uncle, a veterinarian who bred Churchill’s race horses. He served for many years as president of the Michigan Churchill Society, and while in hospice he read Churchill’s My Early Life for the tenth time. It was a book of great inspiration to him. Mike’s devotion to veterans was rooted in the World War II death of his father. His persistent efforts led to the establishment of the Washtenaw County Veterans Treatment Court and the Veterans Legal Clinic at Michigan Law, as well as the creation of the University of Michigan Student Veterans Association. The University now awards in-state tuition to returning veterans. Mike was an active participant in American Legion Post 46 in Ann Arbor, serving as Judge Advocate. Mike had many interests and accomplishments, but he always said the best job title he ever had was Grandpa. It is no surprise that all four of his grandchildren Spenser, Brendan, Keller, and Quinlan have grown up playing soccer. Mike also loved his dogs; he died with the certainty that all six of his miniature schnauzers would be greeting him in heaven. An unbearably honest man, Mike always told you the truth. Mike was unfailingly loyal and completely trustworthy. He was also generous, and he loved a good story and a good party. Mike was deeply devoted to his family. In addition to his wife, children, and grandchildren, Mike is survived by daughters-in-law Sue and Elena and son-in-law, Don Johnson. He is also survived by his sister, Shelagh Broderson and her husband, Bob, of Berkeley, CA, and his brother-in-law Roger Gallup of Hillsdale, NY. A memorial celebration of Mike’s life will take place on Sunday, September 25, at 1 p.m. at the Dawn Farm Community Barn, 6633 Stoney Creek Road, Ypsilanti. In lieu of flowers, memorial contributions may be made to: Dawn Farm at the above address; the Veterans Legal Clinic at the University of Michigan Law School, c/o Joshua Kay, 625 South State St., Ann Arbor 48109-1215; or the Humane Society of Huron Valley, 3100 Cherry Hill Rd., Ann Arbor, 48105.